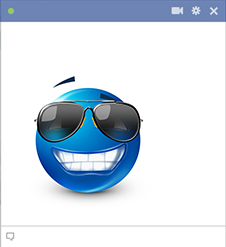 This smiley is sporting its cool shades and a happy smile. You can share it when you're feeling easy-breezy and all-over-cool. Show off your carefree style when you share our images with family and friends. 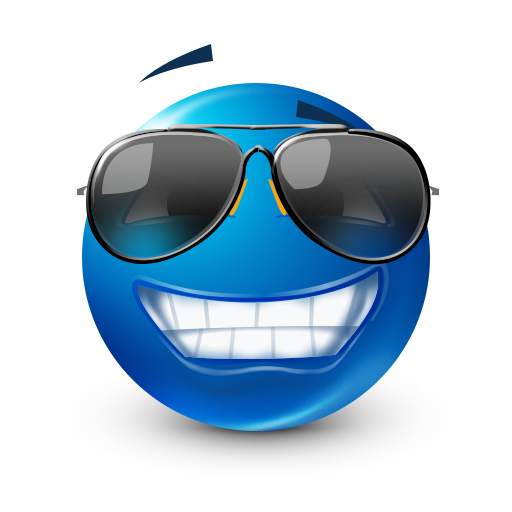 All of our emoticons are free and work anywhere you post them.